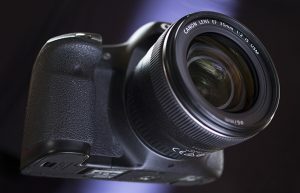 The Canon EF 35 mm 1:2 IS USM is not meant to be a standard lens, while offered as a medium-priced light wide-angle-lens for full-frame cameras. – Apart from this it is a remarkable standard lens for APS-C-cameras! 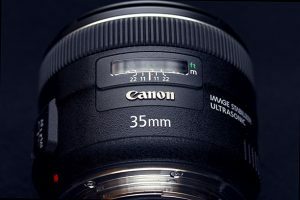 Great standard lens for APS-C: the Canon EF 35 mm 1:2 IS USM! Maybe the f/2.0 is a blaming detail for a standard lens. 50 years or more have passed since we obviously accepted apertures like that on a standard focal length. So maybe you wonder why I call this lens a great choice, when looking for a standard lens for your APS-C.
See my video on youtube to find different examples of use, to find test shots, to find 100-%-outcuts to show you great strengths and very low and less weaknesses of this lens. See and let me explain why I think this lens to be a great standard lens for Canon-EOS APS-C-cameras – furthermore at a medium pricerange. Let me have a look back: Once starting with an FL-lens, in the 1970s Canon tried to establish the renewed FD 55 mm 1:1,2 lens as a standard lens for enthusiastic photographers and professionals. Canon was not the only enterprise to try to make the 55 mm for the former so called 35-mm-cameras (the nowadays full-frame) to be an accepted standard focal length. Already when Canon came along with it’s NEW F-1 – that was in the beginning 1980s – they stopped their engagement and accepted the demand for only 50 mm as a standard focal length. But now I say: Here it is! The 55-mm-lens for anyone using APS-C!!! A 35-mm-lens is a 56-mm, mounted on Canon’s APS-C-cameras. The lens is free from vignetting; chromatic aberations are really not relevant and can be found sometimes, when going down to the last pixel. Diffractions are unknown to this lens. Sharpness is good at any aperture; it is very good from f/2.8 up to f/9 – at last excellent between f/4.0 and f/7.1. Contrast is a bit weak at f/2.0, f/2.2, f/2.5 – and extraordinary from f/3.2 up to f/5.6. Furthermore the lens is great in shorter distance: e.g. to reproduce paintings. Normally you would choose a 50-mm-lens at an APS-C-sensor. However, if you do not have the room to get enough distance for medium sized paintings, the 35-mm does not disappoint you! Choose an aperture of f/6.3 or best f/8 to be able to use it including the last of the corners. If the medium area is enough, you can start with f/2.5 to enjoy very good contrast and great sharpness. Using this lens as one’s standard lens in conjunction with an APS-C-camera is neither honouring nor decoration. Unlike, in contrast to this your results are outstanding. See my video to find out why the Canon EF 35 mm f/2 IS USM is a really great 55-mm standard lens on APS-C-cameras. 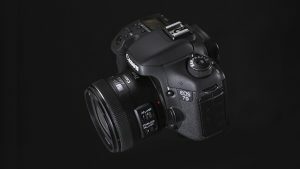 Dieser Eintrag wurde veröffentlicht in Review und verschlagwortet mit APS-C-camera, crop-sensor, review, standard lens von Gerhard Ochsenfeld. Permanenter Link zum Eintrag.